Daytona Motorsport is delighted to confirm that the brand new Daytona Tamworth circuit will open on Saturday 18th April – and, to celebrate the launch of the circuit, Daytona are offering 25% off all bookings for the opening weekend. This brand new 1000 metre circuit located just ten minutes from Tamworth Town Centre and only five minutes from Junction 10 of the M42 will offer all of Daytona′s exciting race events for adults and junior drivers. The venue will offer a choice of events in Sodi RT8 390cc karts or Daytona′s amazing Dmax 125cc two stroke karts – with Arrive&Drive and Open Races already scheduled in the Sodi Karts for the opening weekend. 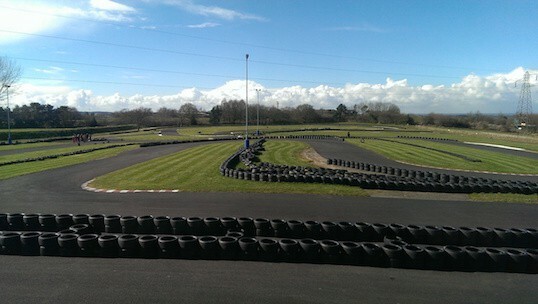 In addition drivers aged 8-15 can try out the Indy and Club Circuits in Biz Junior and Cadet Karts. Daytona will be launching Bambino Training Sessions for 5-7 year olds in the coming weeks. See below for the online booking link or our phone number to call us to discuss booking in for the opening weekend – or to talk to us about booking an exclusive race event at Daytona Tamworth. With 25% off all practice and race fees over the Opening Weekend we are expecting the weekend to be busy – so make sure you book online to avoid missing out.